This has officially gone too far. Organisers at The National Union of Students in Solihull have gone completely insane. 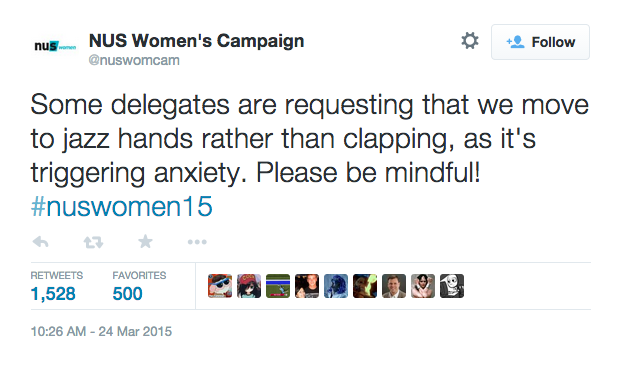 People attending one of their Women’s Conferences were told to use jazz hands instead of applause to express their approval throughout the evening — because apparently applause ‘triggers anxiety’. 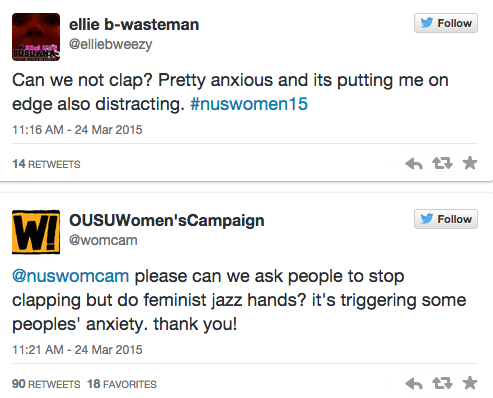 Jazz hands are used throughout NUS in place of clapping as a way to show appreciation of someone’s point without interrupting or causing disturbance, as it can create anxiety. I’m relatively new to this and it did feel odd at first, but once you’ve used jazz hands a couple of times it becomes a genuinely nice way to show solidarity with a point and it does add to creating a more inclusive atmosphere. 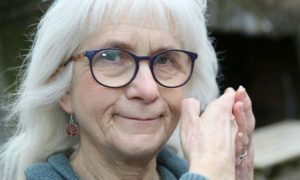 Clapping — the thing that we’re all been doing for years without any problem whatsoever, something that’s been universally well-received for longer than we’ve all been alive and is supposed to make people feel good — is now too terrifying to deal with. It makes people nervous and triggers their anxiety. 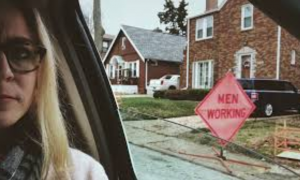 Cheers for that feminism. Where did the women go who used to fly on delivery (never mind Spitfires) 4-engined bombers, being pilot, navigator and flight engineer? Did they get “anxious” about the noise of the engines, or the dozen other “what ifs”? Indeed mate. Bet the girls from ‘Women Against Feminism’ are cringing in their boots.